Water Temperatures Cross The 70-Degree Threshold on Florida’s Big Bend–And The March Fishing Is Great! This past week (the first week of March 2015), Gulf of Mexico water temperatures finally crossed over the 70-degree mark. And the BITE IS ON! 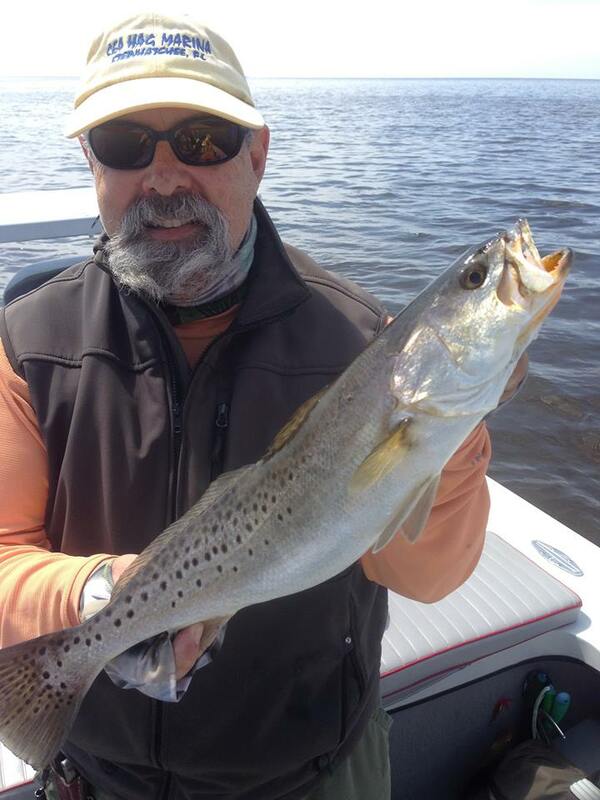 All the ports in our regiion (Yankeetown, Waccasassa, Cedar Key, Suwannee, Horseshoe Beach, Steinhatchee, Keaton Beach, Econfina, Aucilla, St. Marks and Panacea) report great catches of spotted seatrout and redfish, our favorite inshore species. And anglers able to beat the winds have done well on those striped marauders, sheepshead. 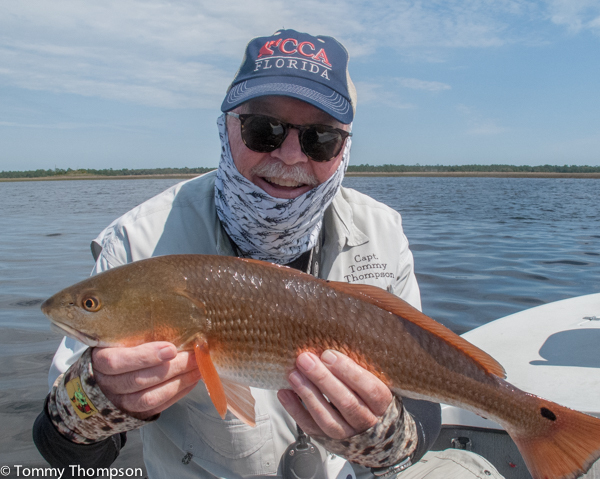 Tactics for early spring fishing on our coast are simple. Get as shallow as you can…and match the hatch. Looks for schools of jumping mullet (smaller mullet, the better) and toss lures that look like mullet. Folks have good success using MirrOlure Paul Brown Originals, as well as D.O.A. Baitbusters. And remember, it’s important not to get too close to your prey. Be prepared to make long, accurate casts with light spinning gear. Our waters are surprisingly clear this time of year, and wary fish can see, or hear, or feel you coming! So…no loud noises, including slamming hatches or high-fives needed! Sheepshead are just now beginning to appear on rock piles and artificial reefs offshore of the Big Bend. These notorious bait-stealers are fun to catch and good to eat, but they can be picky. Hopefully you can find some fiddler crabs to use for bait (The Sea Hag Marina in Steinhatchee usually has a few). If not, use live shrimp and hope the sheepshead are in the mood to eat them.